The term “unknown masterpiece” is one usually ascribed to works that haven’t seen the light of day for decades or centuries before somehow being unearthed: a Bach aria stashed amidst birthday cards in a Weimar library or a $5 thrift store painting that may end up being a long-lost Jackson Pollack. Lagrime di San Pietro (Tears of St. Peter) by Orlando di Lasso can also be considered an unknown masterpiece, but for a couple different reasons: (a) the Renaissance-era composer does not have the present-day name recognition of contemporaries like, say, Monteverdi, Palestrina, or Victoria; it doesn’t help that there are multiple variations of his name, with Orlande de Lassus, Roland de Lassus, and Roland de Lattre being just three options among others (b) the work itself is rarely performed, especially in the U.S. I’ve spoken to quite a few singers and music writers, and none of them have heard it live or sung it themselves, and only a handful of them had listened to the music. Grant Gershon, Artistic Director of the Los Angeles Master Chorale, has been wanting to perform this work for many years. 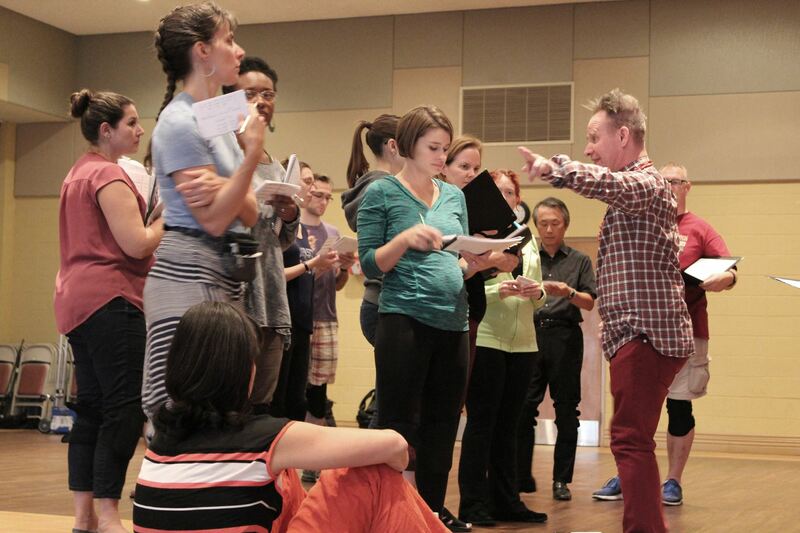 He finally gets his chance at this weekend’s Master Chorale concerts which kickoff their 2016-17 season, in two semi-staged performances directed by Peter Sellars. I had the chance to chat with him over the phone recently, and his enthusiasm about the work is palpable. “I’ve known about [Lagrime di San Pietro] for many years.” explains Mr. Gershon. “I’ve had a recording of it which is very beautiful – the [Philippe] Herreweghe recording – and I’ve been listening to that for the past six or seven years.” He recalls how when working with John Adams on The Gospel According to the Other Mary, the composer mentioned how he was inspired by music of di Lasso and/or Lagrime in crafting the choral writing for his own work. Messrs. Gershon and Sellars have a long and storied history as collaborators and friends, and Mr. Sellars is an aficionado of Renaissance music, so it seemed like a natural fit, at least at first; however, it turns out that the director wasn’t familiar with Lagrime. “So he went out and listened to it,” Mr. Gershon reveals,” and was intrigued by it. At the same time, he immediately told me that if we were to embark on this, it would be the most difficult undertaking that he’d ever attempted. At first, I thought that was just Peter being a bit hyperbolic. But then as I started to think about it more and thought about what it would really mean to completely memorize this piece, I came to realize that he’s probably right,” says Mr. Gershon with a nervous laugh. In sharp contrast, Lagrime di San Pietro, has needed a staggering amount of preparation time. 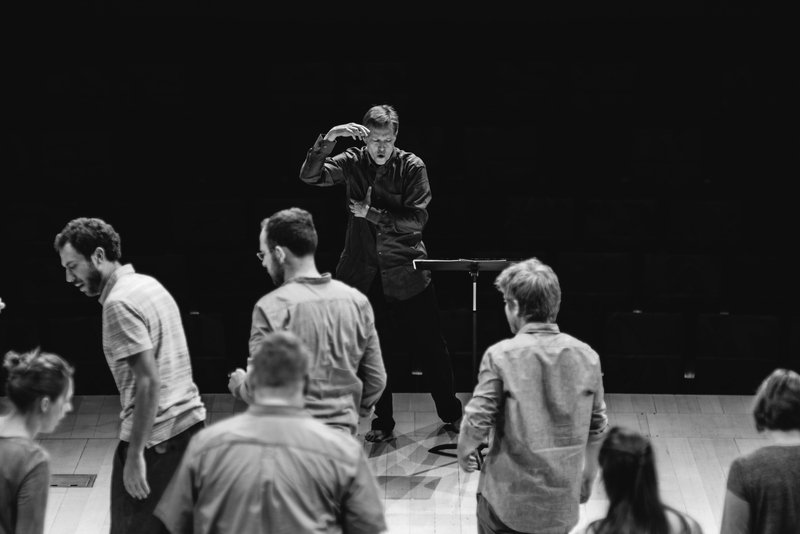 “We had ten music rehearsals, which is unheard of for the Master Chorale, a total of fourteen staging rehearsals with Peter, and then another two final rehearsals on stage. Twenty Six rehearsals in total — a record by at least two times over,” emphasizes Mr. Gershon. Yowza. It’s a bit crazy to think, given the complexities of contemporary music such as microtonal works by Ligeti or the rhythmic machinations of Steve Reich, that it would be easier to put together those newer works than music written over 400 years ago. The numbers three (3) and seven (7) have a prominent place for Christians: three represents the Holy Trinity of the Father, Son, and Holy Spirit, there were three Magi that brought gifts to the Baby Jesus, and Jesus rose from the dead on the 3rd day; seven is the number of total days of Creation, with God resting on the seventh day, and Jesus feeds multitudes via the miracle of multiplying seven loaves and fishes. There are, of course, also the more sinister references, as in the Seven Deadly Sins, the Devil tempts Jesus three times, and, perhaps most importantly for this work, the three times the Apostle Peter denies Jesus. Those two numbers — seven and three — are sprinkled throughout these concerts, thanks both to di Lasso and Mr. Gershon. First of all, the piece is composed of 21 stanzas — 3 multiplied by 7. And as Thomas May points out in his very detailed and informative program notes for the concerts, there are 168 lines of poetry set to music — a number evenly divisible by seven. Secondly, di Lasso writes Lagrime for seven distinct vocal parts. Indeed, di Lasso blurs the traditional lines between madrigal (populist songs written in the vernacular with lyrics ranging from secular to profane) and motets (sacred latin texts set to music that was considered appropriate for liturgical use) by referring to the first 20 stanzas, poems by Luigi Tansillo, as “madrigali spirituali” or spiritual madrigals — madrigals set to sacred, if vernacular, lyrics. While many of Mr. Sellars recent productions have been relatively direct and minimalistic (La Passion de Simone at this year’s Ojai Festival being a prime example), he’s better known for asking a lot from his singers. I doubt the Master Chorale would be surprised by much given the number of performances with which they’ve collaborated with Mr. Sellars. To paraphrase the cartoon hero Super Chicken, they knew the job was dangerous when they took it. Look for more non-standard singing positions for the 21 singers on stage. And that’s a good thing, according to Mr. Gershon. Has there ever been a time where he felt he had to prevent Mr. Sellars from implementing some of his theatrical vision? It seems incongruous that Mr. Gershon and the Master Chorale would put this much effort into preparing these two performances only to pack them back up and move on without a second thought. And while nothing has yet been announced, I’d expect that, based on prior conversation with LAMC President Jean Davidson, conductor and choir would want to expose more audiences to this unknown masterpiece. The performances will also be recorded via both audio and video for archival and promotional purposes, though no current plans exist to release it commercially. Tags: Grant Gershon, Lagrime di San Pietro, Orlando di Lasso, Peter Sellars. Bookmark the permalink.